The former Irish prime minister John Bruton urged voters to protect babies’ lives by voting no in the referendum. Bruton served as Prime Minister and as an ambassador of the European Union to the United States. 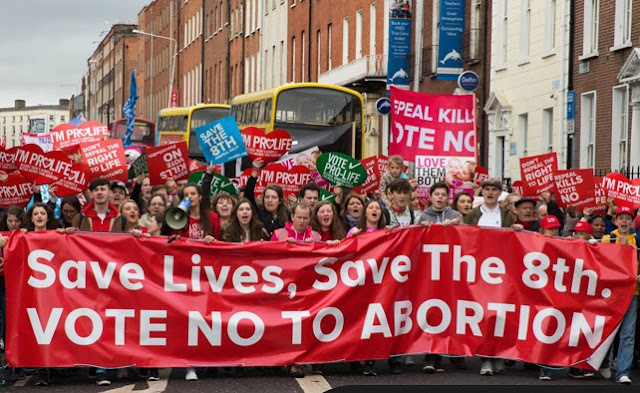 On May 25, Ireland is scheduled to vote on whether to repeal its Eighth Amendment, which protects unborn babies’ right to life. Pro-lifers estimate that the Eighth Amendment has saved approximately 100,000 unborn babies’ lives from abortion. Irish law currently recognises equal rights to life for a mother and for an unborn child, making abortion illegal except in cases where the woman’s life is at risk. The law allows them to travel abroad for an abortion, resulting in several thousand Irish women travelling for abortion. Archbishop Eamon Martin of Armargh, Primate of All Ireland explained to Vatican News: the vote as a “watershed and historic moment” as people are asked for the first time in Ireland, by referendum, “to discuss the equality of all human life”. He notes that the 8th amendment under review is a declaration of equality of life between the life of a woman and her unborn child, “both lives being precious, in need of protection, love, and the support of society and its laws”. The Church, Archbishop Martin noted “has all along, through gentle, truthful, but loving messages, tried to teach that all human life is sacred and precious, from the first moment of conception until natural death”. These proposed changes, the archbishop concluded, have united all Christian traditions [around the ‘No’ campaign]. But this is not simply a Catholic or Christian issue, he said, since “people of all faiths and none” have come together in a broad coalition of concern, sharing the belief that “innocent human life should be protected”.